The AutoStack II is a totally refined machine by any standard, featuring economy, reliability and time tested value. The SC2010 Roll is a self-propelled, automatic stacking, roll harvester that showcases Trebro's reliability in an innovative new design. The SC2010 Slab combines a revolutionary design along with Trebro's proven reliability into an automatic stacking slab harvester with performance you can count on. 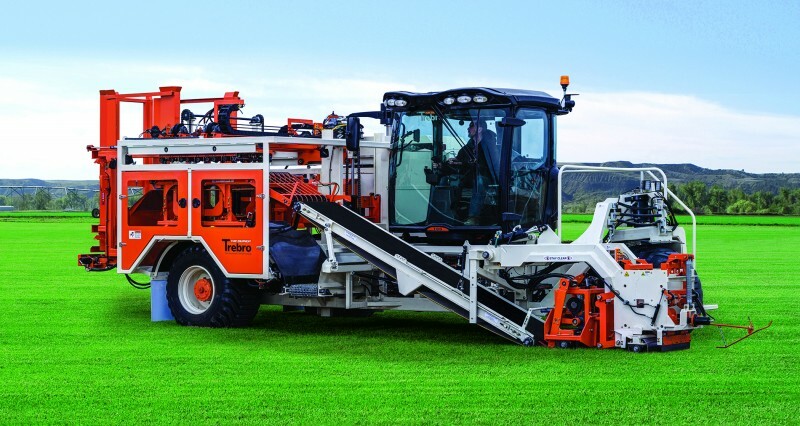 Trebro has taken turf harvesting to new heights. 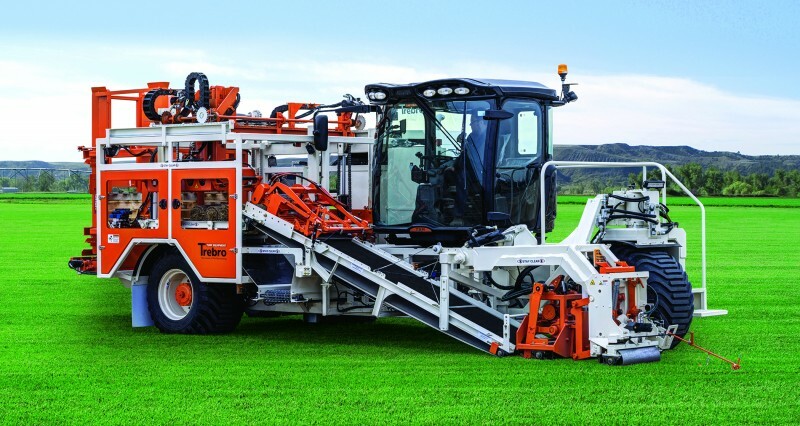 This revolutionary machine features 90 degree rotating cab providing the most visibility on the market today. The business of operating a turfgrass sod farm can be more challenging today than ever before. Membership in Turfgrass Producers International (TPI) allows companies to stay ahead of the marketplace. There are multiple ways we can practice environmental stewardship and go green in our own little corner of the world. Eco-friendly ideas and suggestions come to the forefront every day.